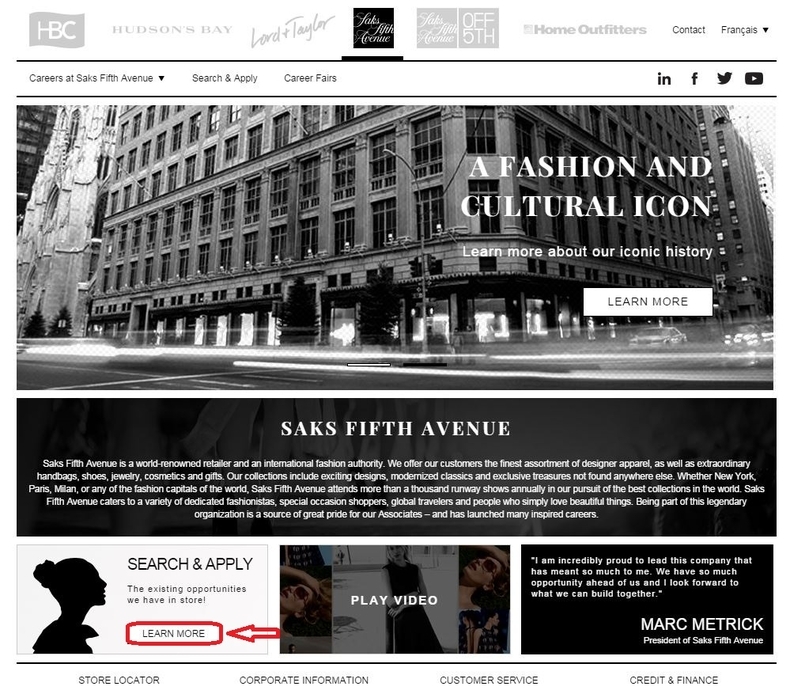 Visit Saks Fifth Avenue careers page at saksfifthavenue.com/careers or hbc.com/careers to know more about careers at Saks Fifth Avenue. You can click "LEARN MORE" button to search the existing opportunities in store. Choose your search criteria such as banner, area of interest, state or province and city or enter keywords and then click the button "SEARCH" to find opportunities for you. 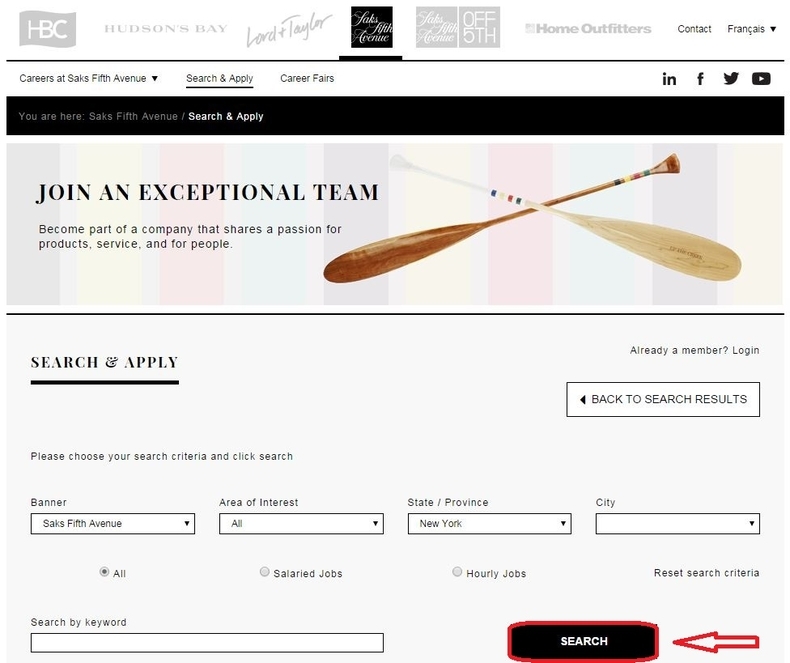 Browse your search results or the whole job openings list to select a position for you. 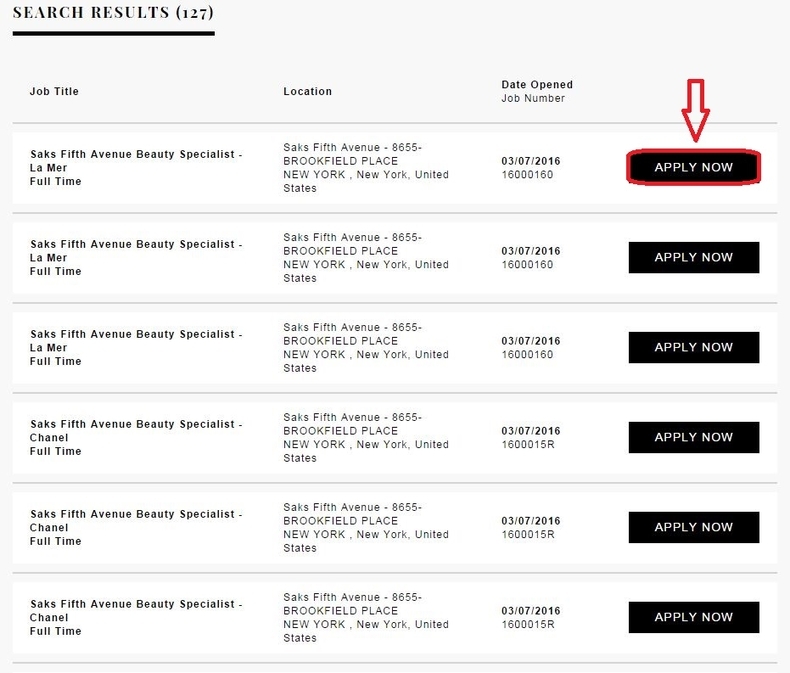 You can click the "APPLY NOW" button to view the details of each position. View the job details like role mandate, responsibilities and qualifications and select the one you are interested in and also qualified to apply for. 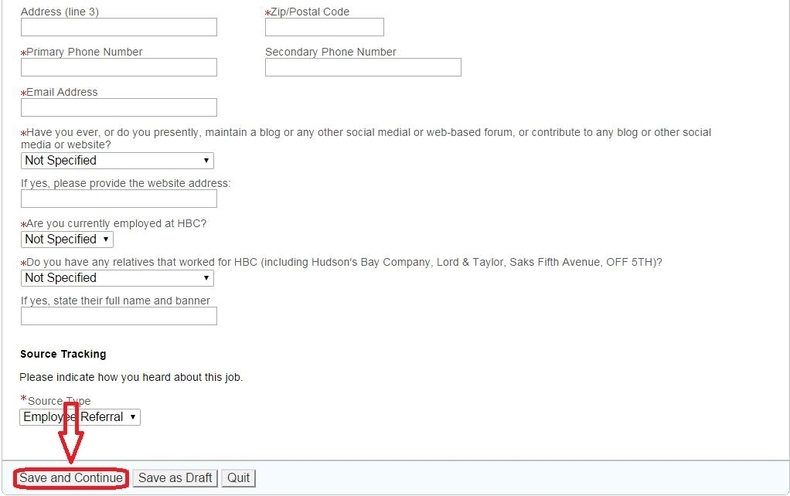 Then you can click the "APPLY NOW" button at the bottom to start your application for this position. 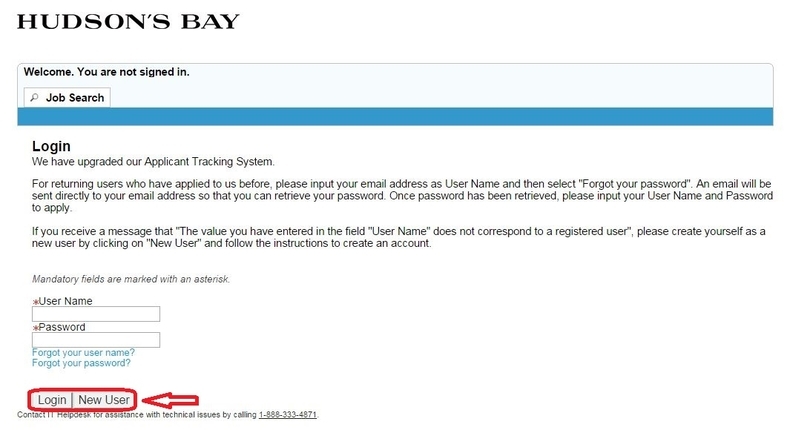 Enter your user name and password to login. If you are a new user, you can click "New User" button to create a new one. 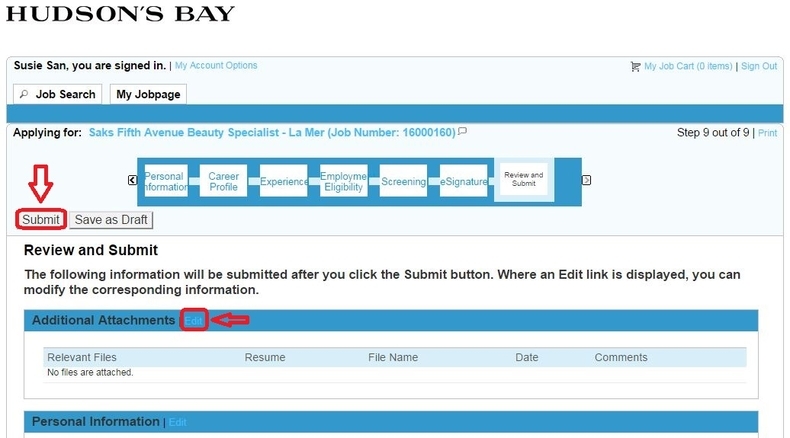 Select your resume file to upload and additional file to attach. 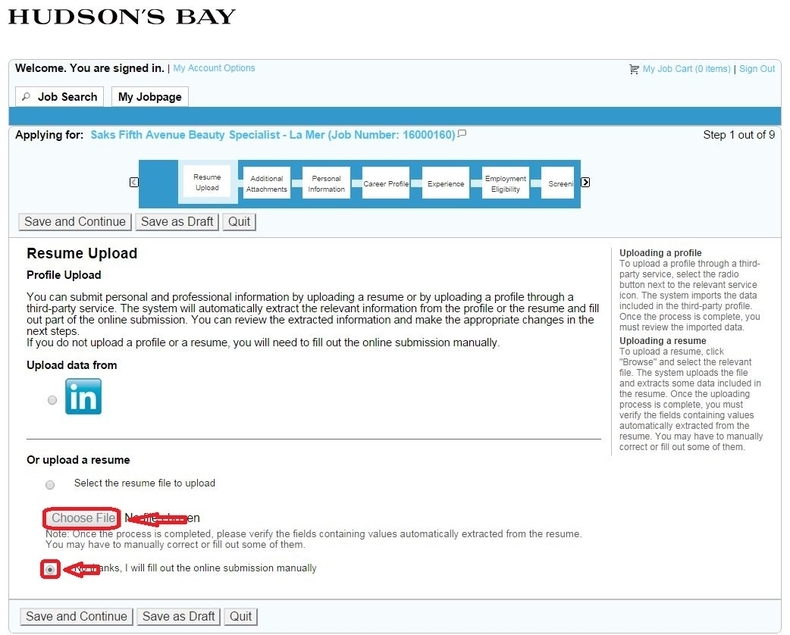 If you don't want to upload a resume, you can choose to fill out the online submission manually. Fill out your personal information like name, address and other information and then click the button above or at the bottom of the page to save and continue. Follow instructions to finish the rest steps like Career Profile, Experience, and Employment Eligibility etc. by completing all the required fields marked with asterisk. After finishing one step, you can click the button save and continue to move on to the next step. 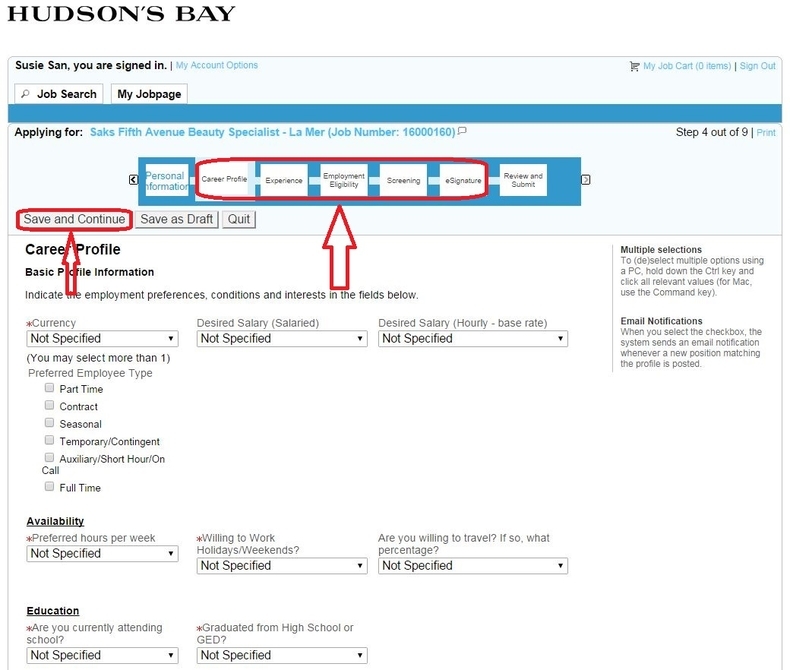 Review your application and you can click "Edit" to change or correct the information you provided in each step. If all the information is okay, you can click the button to submit your application. After clicking the submit button, your online application will be finished. You can click on the View My Submissions link to search for other job openings. 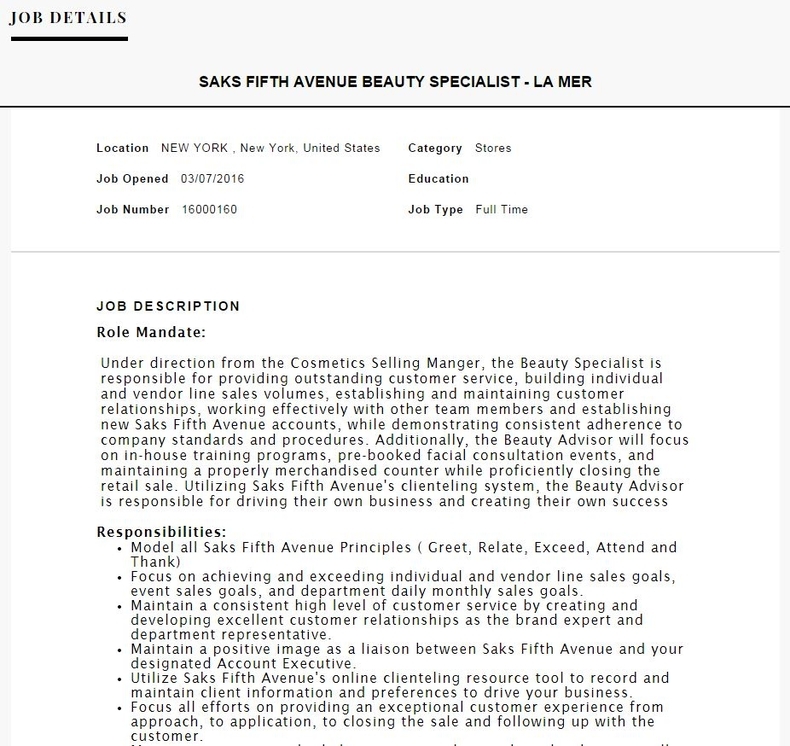 Click saksfifthavenue.com/careers to apply for Saks Fifth Avenue jobs online.